UNG President Bonita C. Jacobs presents an award to Hunter Wright, one of several Department of Visual Arts students featured in a current exhibit on the Oconee campus. The weeks before the April 26 installation of Bonita C. Jacobs as president of the University of North Georgia have been filled with events highlighting the inauguration theme, "Building on a Tradition of Excellence." "The theme highlights the university's outstanding student success rates and its role as a state leadership institution," said Sloan Jones, director of civic engagement at the University of North Georgia. "Inaugurations comprise many events set around the formal installation ceremony. These events and the ceremony provide all constituents of the university, including students, faculty, staff, alumni, and the community, an opportunity to come together as one body to celebrate the university's history and future." 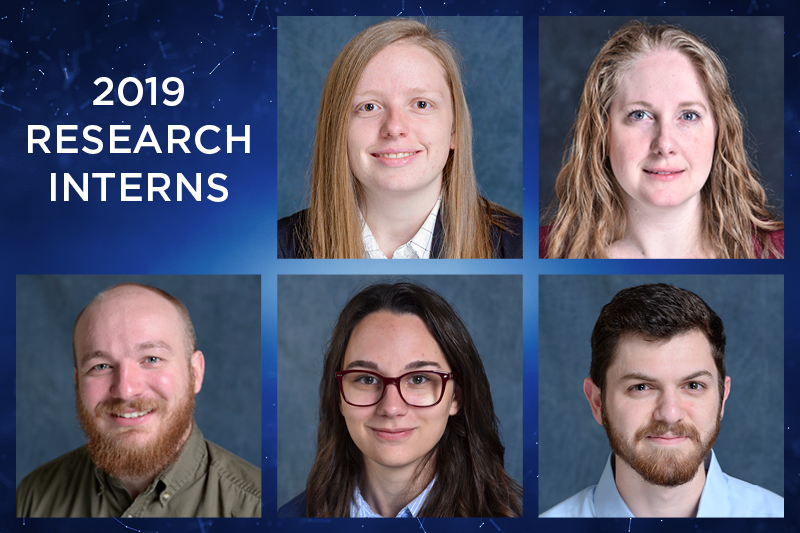 Undergraduate research, featured in two conferences held as part of inaugural activities this month at UNG, is one of the many unique educational experiences students can find at the university. The 18th Annual Research Conference was held April 2-4 on the Dahlonega campus and the Conference for Innovation, Research, and the Creative Arts is April 10-11 on the Gainesville and Oconee campuses. 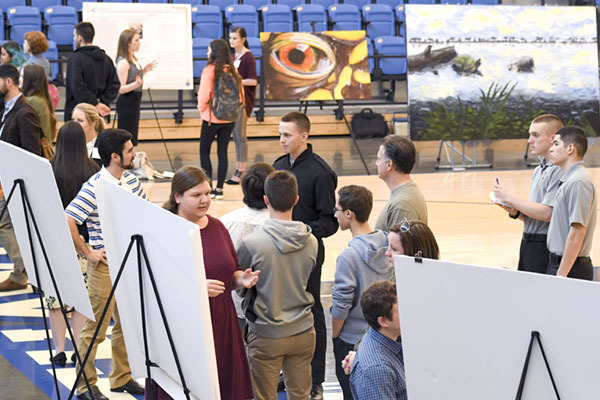 Both conferences feature presentations on a variety of topics, highlighting UNG's emphasis on undergraduate research opportunities and the support they lend to student learning. "UNG's designation as a state leadership institution, its status as one of only six senior military colleges in the country, and our traditions of academic excellence and educational value have earned the university national prominence," Jacobs said. "As a celebration of an institution's values and mission, inaugurations provide opportunities for universities to look inward and to consider their future. 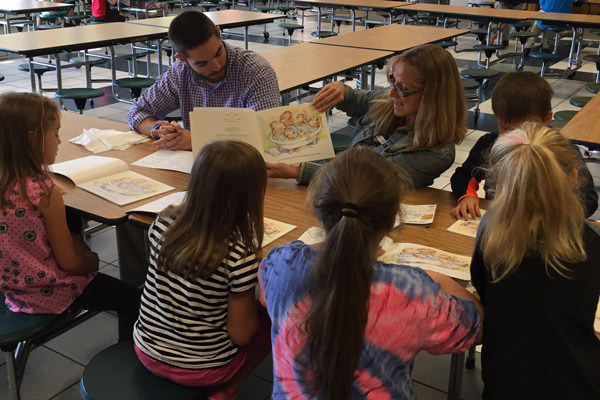 The scholarship and service activities highlighted by the inauguration showcase UNG's potential to increase the educational opportunities for students across this region and, in turn, positively impact the communities we serve." An exhibit on the Oconee campus showcasing the work of students in the Department of Visual Arts' two-year program continues throughout April as part of inauguration activities. The Graduating Art Students & Scholarship Award Winners Exhibit marks the first time an exhibit has featured students graduating from the Associate of Arts program on the Oconee campus. 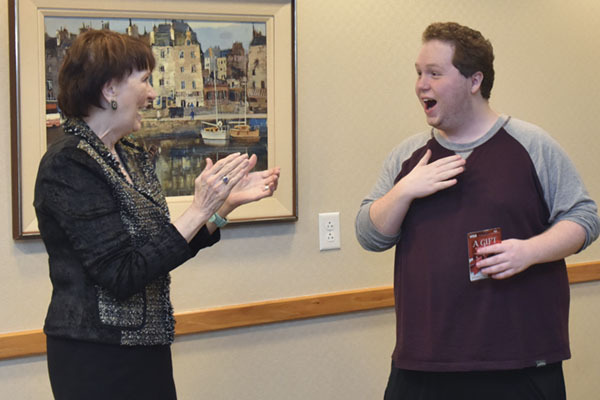 Jacobs attended the exhibit's April 3 opening to announce and personally congratulate the scholarship winners. Inauguration activities will conclude April 26 with the installation ceremony, reception and scholarship ball. The approximately 90-minute installation ceremony will begin at 1 p.m. on the General William J. "Lipp" Livsey Drill Field in Dahlonega. In the event of inclement weather, the ceremony will be moved indoors to Memorial Hall Gymnasium. A drop-in reception will be held on the Promenade of the Dahlonega campus; the rain location for the reception is the dining hall banquet room. The ceremony and reception are free and open to the public; tickets are not required. The installation is an academic ceremony designed to introduce the president to the community and provide an opportunity for Jacobs to communicate her vision for the institution. Participants in the inauguration will include members of the campus community, delegates from other colleges and universities; national educational, professional, military, and honor societies; and local, state and national leaders. The installation ceremony will include a formal processional of the academic faculty and delegates from other institutions and organizations, all attired in academic regalia, and presentation of traditional items symbolic to the university, a mace and chain of office. "Because President Jacobs places a strong emphasis on student success and opportunity, a key event during the inauguration is a scholarship ball that will be held on the evening of April 26 on the Gainesville campus. Hosted by the university's two philanthropic foundations, net proceeds from the ball will be used to support student scholarships on each of the four campuses," Jones said of the invitation-only event. Jacobs and the university already have received congratulations and accolades from dozens of presidents of colleges and universities across the country, from The Citadel to The California State University. Jacobs assumed the full responsibilities and duties of president of North Georgia College & State University on July 1, 2011, but inaugural activities planned for spring 2012 were delayed due to the pending consolidation with Gainesville State College. On Jan. 8, the University System of Georgia Board of Regents ratified consolidation as the University of North Georgia.